At 541 pages, Smith's book is a formidable hunk of tome, but rest assured, I will eventually include shorter books in my posts. 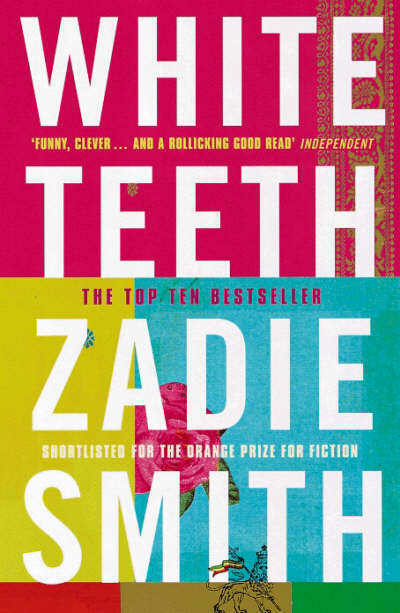 That said, Smith's White Teeth is a darkly humorous novel concerning multiple characters of various racial and socio-economic backgrounds. The opening scene depicts the suicide of Archie Jones, a middle-aged London man suffering from depression after a recent divorce. 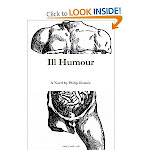 So where's the humour in that? Archie's attempt to kill himself via carbon monoxide poisoning is botched when a local butcher discovers Archie's idle car blocking a shop's loading zone. The man gives Archie an earful and eventually shoos him away with scolds like, "No one gasses himself on my property... We are not licensed." Archie, still intoxicated from fumes, parks his car and wanders into a nearby house party. At this party, the 47-year old meets a 19-year old Carribean girl named Clara Bowden and marries her six weeks later. "Sometimes, when the Chalfens sat round their Sunday dinner, tearing apart a chicken until there was nothing left but a tattered ribcage, gobblingly silently, speaking only to retrieve the salt or the pepper - the boredom was palpable. The century was drawing to a close and the Chalfens were bored. Like clones of each other, their dinner table was an exercise in mirrored perfection...They were still the same remarkable family they always had been. But having cut all ties with their Oxbridge peers...there was no one left to admire Chalfenism itself. Its gorgeous logic, its compassion, its intellect." If you have ever been to a writers' workshop or read a book on writing fiction, you undoubtedly have heard the golden rule: "Always show. Never tell." But after reading a book like Smith's, you realize that the last part of this rule should read "...unless you're actually good at writing." Smith can info-bomb her readers all she wants because of the sheer power of her narrative voice, which combines all the playful cultural critique of Salman Rushdie with the generosity and prosaic mastery of George Eliot. 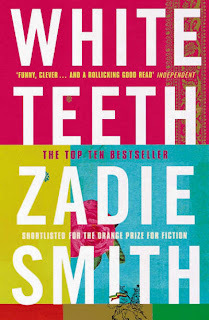 What is perhaps most impressive about Smith's achievement is that she published White Teeth when she was only 25 years old. It is this fact that accounts for the one truly negative emotion that Smith's novel inspires: envy. This emotion only grows stronger when you glance at the book's back cover and see Smith's face, which is incredibly photogenic. Her expression clearly says, "Yes, you are going to enjoy this book, because I am an extremely good writer and have been globally recognized as such. Deal with it." Many aspiring young writers would like to hear about the twenty years of failure Smith had to suffer before she could get published, or about how her first book only came out after the bloom of youth had left her. But such is not the case for Smith. 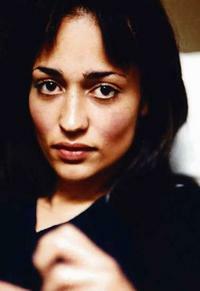 Her talent is undeniable, and if you approach White Teeth with the same generosity and humour she affords her characters, you will be in for an incredible read.